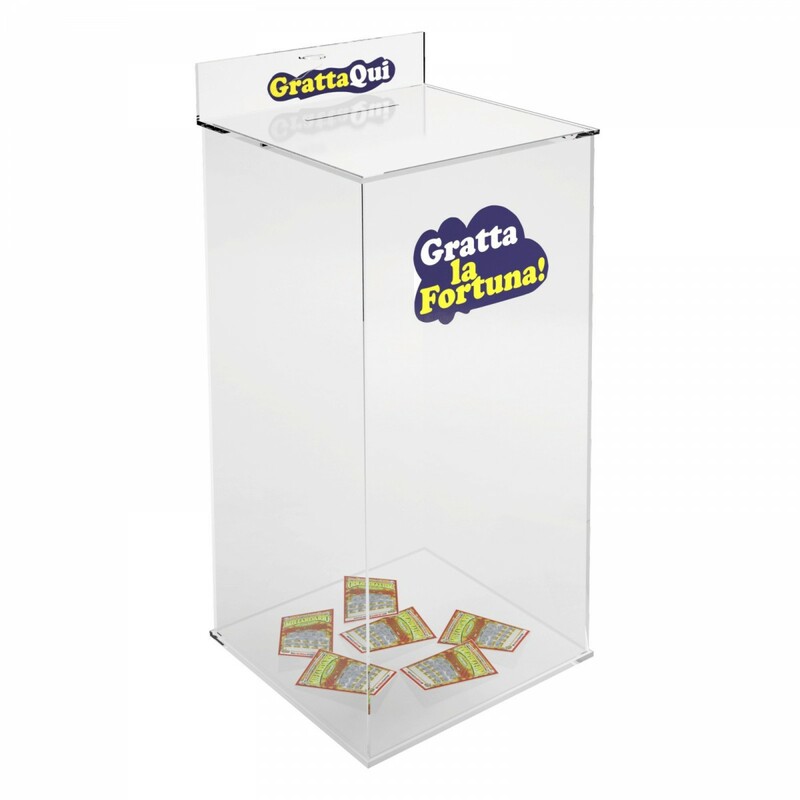 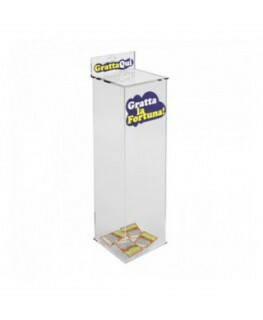 This tubular acrylic wastebasket for scretch and win card is ideal for tobacco shops, cafés, etc. 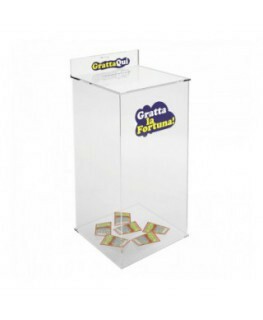 It is equipped with a door above. 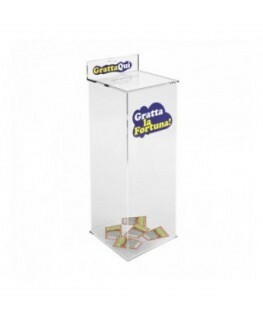 Scretch and win card labels are icluded. The bet slip and scratch and win card holder display is functional and easy to handle and to place.